Giving beginning teachers — as early as high school students exploring teaching — opportunities to demonstrate what they know is one strategy for enhancing the profession. Over the past decade, the concept of personalized student learning has taken center stage in discussions about educational improvement. Now it’s time to recognize that teachers need personalized learning, too. Whether they are aspiring educators or seasoned veterans, they need to know precisely where they stand on the path to real professional expertise so they can determine how best to move forward. Educator microcredentials have a critical role to play in this shift toward personalized teacher development. 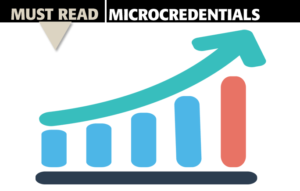 In effect, a microcredential is a certificate of mastery, indicating that an individual has completed a valid assessment and shown that they have met a specific standard for effective practice. Given access to a whole sequence of microcredentials — each one representing an important step on the continuum from novice to expert or from initial career exploration to national board certification — educators can monitor and direct their own professional growth over time. Rather than having to plod through semester-long courses or sit through ineffectual workshops, they can focus on mastering a specific competency, demonstrating that they have done so, and then moving ahead, all at their own pace. At Educators Rising — an initiative of PDK International — we argue that the professional development continuum should begin early, with efforts to recruit promising teachers even before they’ve graduated from high school. That’s why we’ve developed five Beginning to Teach microcredentials to help young people take initial steps toward a career in education. Since Educators Rising was launched in 2015 as a modern evolution of the Future Teachers of America, more than 2,000 secondary schools located in every part of the country have signed on as affiliates and created elective courses, career pathways, and extracurricular programs meant to give high school students authentic opportunities to explore and plan for a career in teaching — already, more than 28,000 students, more than half of them students of color, have become active participants. Now, thanks to our new set of microcredentials, they can show colleges and prospective employers what they’ve learned so far, what skills they can offer, and how committed they are to becoming successful educators. The enormous popularity of today’s videogames owes much to the rapid improvement of computer graphics, gaming consoles, internet connections, and other technologies. But it also has a lot to do with game designers’ sophisticated understanding of human motivation. They’ve learned that if you offer players just the right amount of challenge — setting goals that are ambitious but achievable and allowing them to “level up” once they’ve demonstrated their mastery of discrete tasks — they will respond eagerly, making focused and persistent efforts to improve their skills and rise to new levels. It’s not hard to see how this might translate to formal education. In 2011, Mozilla created Open Badges, an initiative rooted in the pioneering research of educational technology leader Erin Knight. Open Badges gives learners the chance to take on challenging tasks, improve at them, and earn a digital badge that shows what they’ve learned. As Mozilla puts it, badges allow earners to “communicate skills and achievements by providing visual symbols of accomplishments packed with verifiable data and evidence that can be shared across the web” (see https://openbadges.org/about). It didn’t take long for school reformers to see that this approach has distinct advantages over the standard way in which students move through the K-12 curriculum: by accumulating Carnegie Units (or course credits). Typically, students earn Carnegie Units based on the time they’ve spent in the classroom (two semesters, most often), whether or not they’ve truly learned the material. A much better approach, reformers argue, would be to shift to a competency-based model, in which students would move ahead whenever they are able to demonstrate that they’ve mastered the given knowledge and skills, whether this takes them three months or three days. Instead of putting everybody on the same schedule, handing out final grades at the end of year, schools could award students a series of microcredentials, moving them from one level to the next whenever they happen to be ready to take that step. 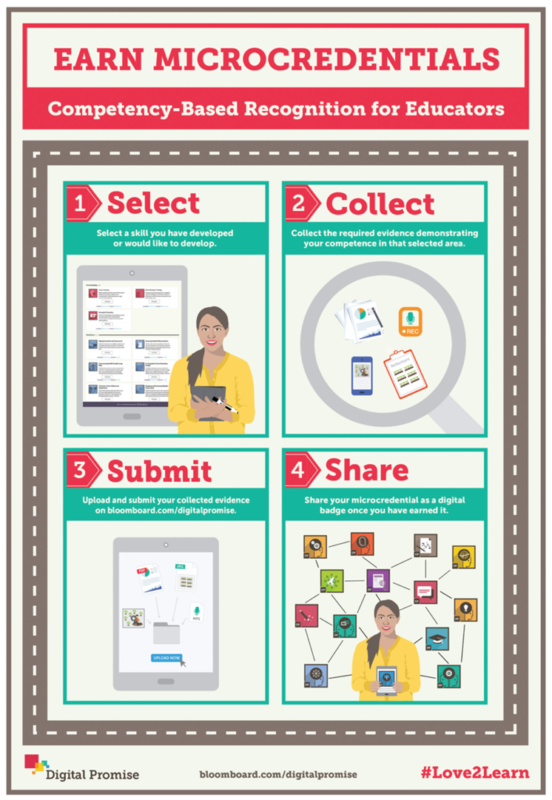 If microcredentials can be used to personalize education for students — motivating them to improve steadily, at their own pace — the next logical step is to make them available to educators as well. A wealth of evidence suggests that the most powerful professional development for teachers tends to be practitioner-driven and job-embedded. So why not give practicing teachers opportunities to pursue microcredentials, allowing them to level up whenever they are able to demonstrate a new professional skill? 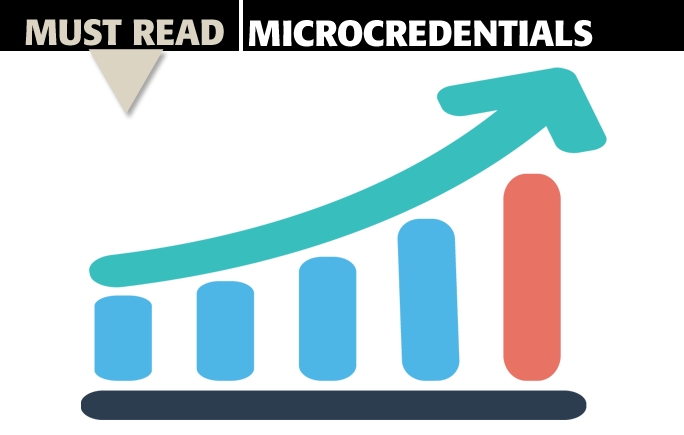 Researchers studying the growth of microcredentials, their use, and their effects on teacher effectiveness, retention, and job satisfaction. In January 2017, Educators Rising released five Beginning to Teach microcredentials, designed to give preservice educators — even high school students taking their first steps into the profession — clear guidance as to the most critical skills they can begin to develop, demonstrate, and add to their portfolios. For colleges and prospective employers, this also provides a way to scout future teaching talent, allowing them to see whether candidates are not just interested in teaching but have taken early, active steps to become skilled and reflective practitioners. Further, the process is meant to serve as an on-ramp to the professional expectations of a formal teacher preparation program, performance-based capstone assessments like edTPA, and ultimately, national board certification. Antibias Instruction. The rising educator analyzes the underlying strategies and active practices of antibias instruction that skilled educators implement and sustain. Classroom Culture. The rising educator analyzes the underlying strategies and active practices that skilled educators must implement to support a sustainable, equitable classroom culture. Collaboration. The rising educator strategically and successfully seeks out, synthesizes, and incorporates relevant ideas from other educators into his/her own instructional practice. Formative Assessment. The rising educator finds ways to spur student growth through the creative, knowledgeable use of formative assessment strategies. Learner Engagement. The rising educator strategically hooks and sustains learners’ engagement throughout a learning experience. The microcredentials for Antibias Instruction and Classroom Culture are observation-based — rising educators are required to visit a learning environment at least twice in a semester and compose structured observations, reflections, and action plans. Collaboration, Formative Assessment, and Learner Engagement are practice-based, requiring students to compose lesson plans, deliver instruction, gather artifacts (primarily video) of their practice, and write reflections. The five Beginning to Teach topics aren’t comprehensive of all teaching skills, of course. Rather, they represent small slices of practice selected as leading indicators of excellence by the Educators Rising Curriculum Development Team, a committee of 14 accomplished K-12 and postsecondary educators from across the country. The team members also developed the content for each microcredential, including submission criteria and scoring rubrics. An expert educator who has participated in thorough interrater reliability training will evaluate each submission. Beginning to Teach microcredentials are available now, and there is no cost to apply and submit material during the initial calibration period, which is expected to last through summer 2017. Starting with the 2017-18 school year, a one-time fee of $150 will give earners lifetime access for submissions to all five microcredentials in the Beginning to Teach stack. The assessments are program agnostic, which means they can be earned by anyone exploring or engaging in teaching. However, the new Educators Rising Academy high school curriculum — which will be piloted in Alaska and Kentucky in 2017-18 — will use the Beginning to Teach microcredentialing process as its major assessment. Earning the microcredentials will provide a boost to preservice and early service teachers. For high school students aiming to gain early college credit, earning the complete stack will notch them three general education college credits, pending a review by the American Council on Education. For preservice and early service teachers aiming to accrue continuing education units to move up the salary schedule, four graduate schools of education (Brandman University, Fresno Pacific University, Portland State University, and University of the Pacific) have agreed to offer 0.5 graduate credits per Beginning to Teach microcredential earner. Will the microcredentials work? Will earners be more likely to pursue teaching, graduate college on time, and become highly skilled practitioners? Time and a rigorous evaluation plan will tell. Building on the promise of the competency-based movement and the urgent need to engage more aspiring teachers earlier, the Educators Rising Beginning to Teach microcredentials aim to become a key part of a systemic solution for improving how aspiring educators demonstrate their skills and knowledge on their road to becoming accomplished teachers. DAN BROWN (dan@educatorsrising.org, @DanBrownTeacher) is co-director of Educators Rising and a National Board Certified Teacher. DWIGHT E. RHODES was strategic initiatives resident for Educators Rising during the 2016-17 school year while completing his doctoral degree at the Harvard Graduate School of Education. Working with high school students who are considering a career in education gives me an opportunity to lay the foundation for their future dispositions. In my teacher academy program, I focus on developing a reflective mindset in my students, the kind of mindset that aligns with certification by the National Board for Professional Teaching Standards. I want them to understand that reflection is as essential to their practice as the assessments and data that will inform it. I also want them to assume that seeking national board certification after their third year of teaching is a natural next step, not something they should delay until later in their career or pursue only because of the financial perks — although those are always nice. Giving students an opportunity to earn one of the Educators Rising microcredentials is one way to help these aspiring teachers develop a reflective mindset. The five Beginning to Teach microcredentials — Antibias Instruction, Classroom Culture, Collaboration, Formative Assessment, and Learner Engagement — are similar in form and purpose to a national board portfolio entry. They demand extensive time, thought, and reflection (about five to 15 hours per submission, according to the guidelines) if they are to be done well, and the rigor of the requirements far exceeds any assessment in my curriculum. My students begin building the professional muscles they’ll need through their careers. The five Beginning to Teach microcredentials are focused on the heart of an educator’s practice: the culture and climate of the classroom, engaging learners and ensuring they are learning, collaborating with others, and practicing constant reflection. While research tells us what effective teachers should know and be able to do, how often do we deliberately teach these skills to those who will be our future professionals? Teachers cultivate a reflective and collaborative mindset through experience and practice. The microcredentials give rising educators an authentic opportunity to begin cultivating this mindset long before they enter their own classrooms. Then when they earn badges for their achievements, they will be able to demonstrate what they’ve learned to others. Microcredentials also help build credibility with other teachers in my district. Sometimes other teachers view a noncore class like Teacher Academy as a lightweight, bulletin board-making elective and my students as classroom helpers rather than aspiring educators eager to learn the nuts and bolts of their chosen profession. When students are engaged in earning microcredentials, the rigor of the work and depth of the reflection impress their mentor teachers as well as my colleagues across the district. They see this work as part of a serious workforce development strategy for our community. How often does a teacher observe a high school student making notations about classroom culture and diversity or asking questions about professional learning networks and how they enhance classroom practice? Microcredentials also provide an opportunity for self-directed learning at its best. Through the process, the learner seeks to deepen his/her understanding of a particular facet of pedagogy and demonstrate this learning via artifacts and reflective commentary. Teachers must be lifelong learners, so why shouldn’t we encourage a lifelong learning mindset in aspiring educators? Earning microcredentials is an adventure and opportunity for my students to grow. They are learning skills that go beyond the specific microcredential; the relevance, rigor, and reflection are helping them develop their own growth mindsets. If we’re going to grow our own, why not grow the very best? Microcredentials provide a clear tool to do it. DEIDRA GAMMILL (deidra@educatorsrising.org) is an English teacher and Teacher Academy instructor at Petal High School, Petal, Miss. She is a National Board Certified Teacher and Educators Rising teacher leader in residence for 2016-17. Originally published in May 2017 Phi Delta Kappan 98 (8), 38-42. © 2017 Phi Delta Kappa International. All rights reserved. DAN BROWN (@DanBrownTeacher) is former co-director of Educators Rising and a National Board Certified Teacher. DWIGHT E. RHODES was strategic initiatives resident for Educators Rising during the 2016-17 school year while completing his doctoral degree at the Harvard Graduate School of Education.